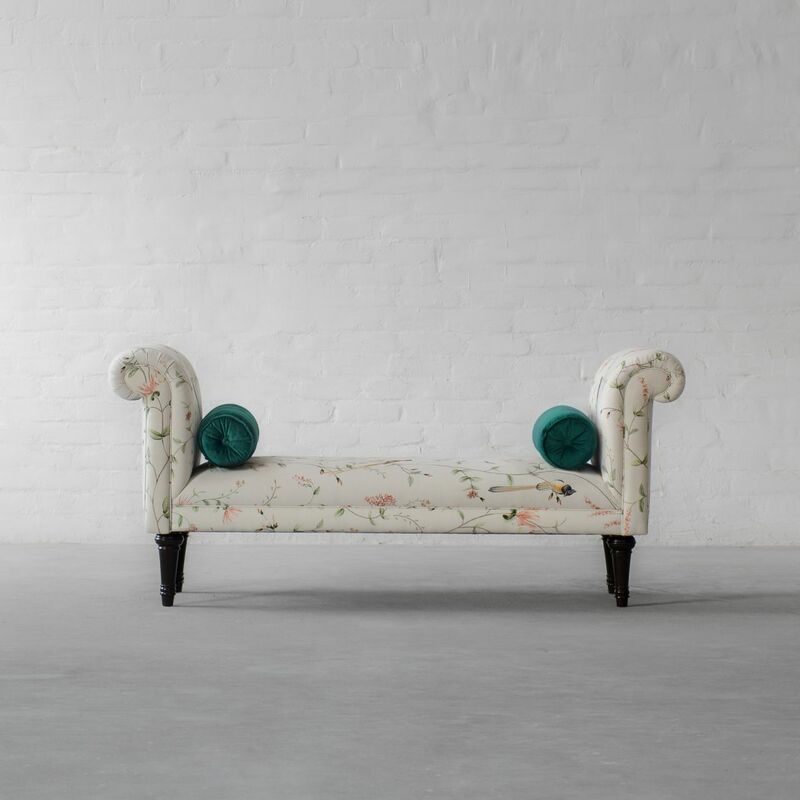 Create a space with our EDINBURGH CHAISE to go back in time. Like a favourite book, Edinburgh is a city you will want to dip into again and again, savouring each time a different experience. One of Europe’s most beautiful cities draped across a series of rocky hills overlooking the sea, it’s a town intimately entwined with its landscape, buildings, and monuments perched atop crags and overshadowed by cliffs. 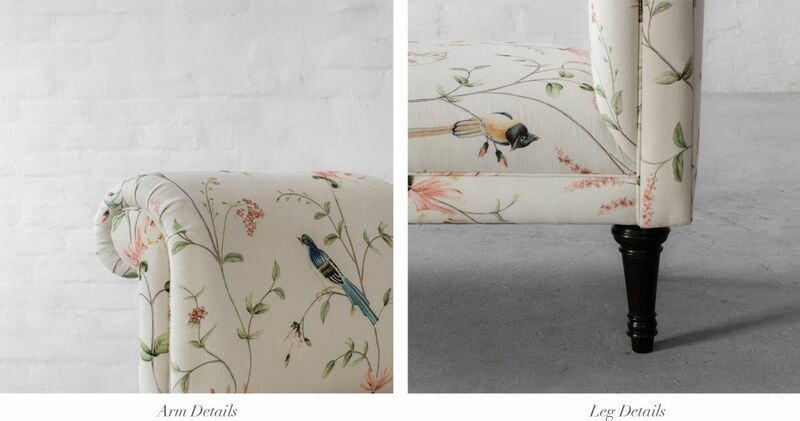 The beautiful lanes and surroundings of this neo-classical city inspires the design of our new chaise. 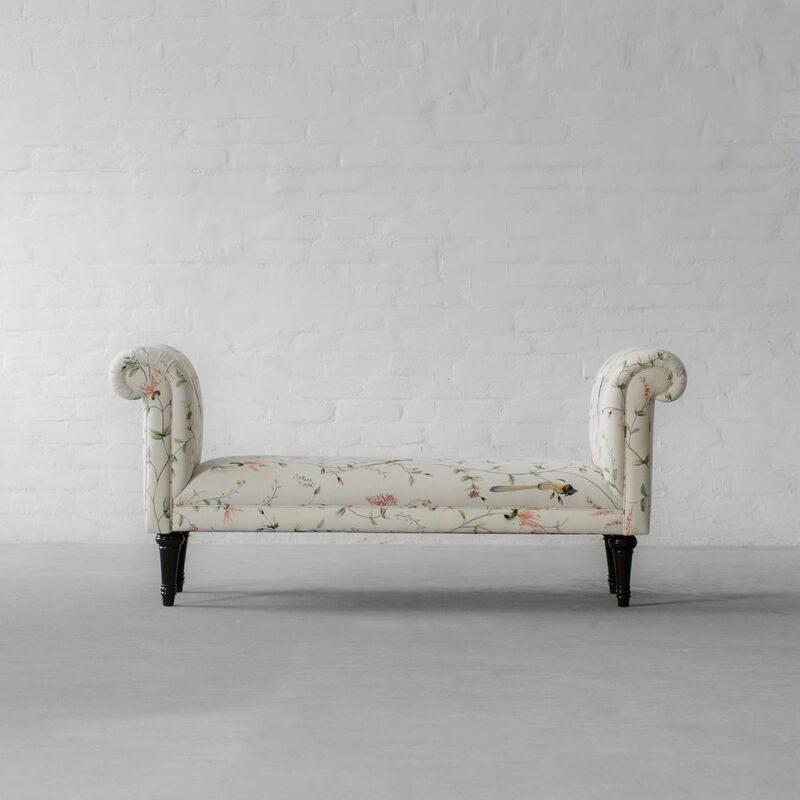 Handcrafted flaring curved arms lend elegance and style to the silhouette while the wooden hand-turned legs add to the aristocratic touch of this classic design. 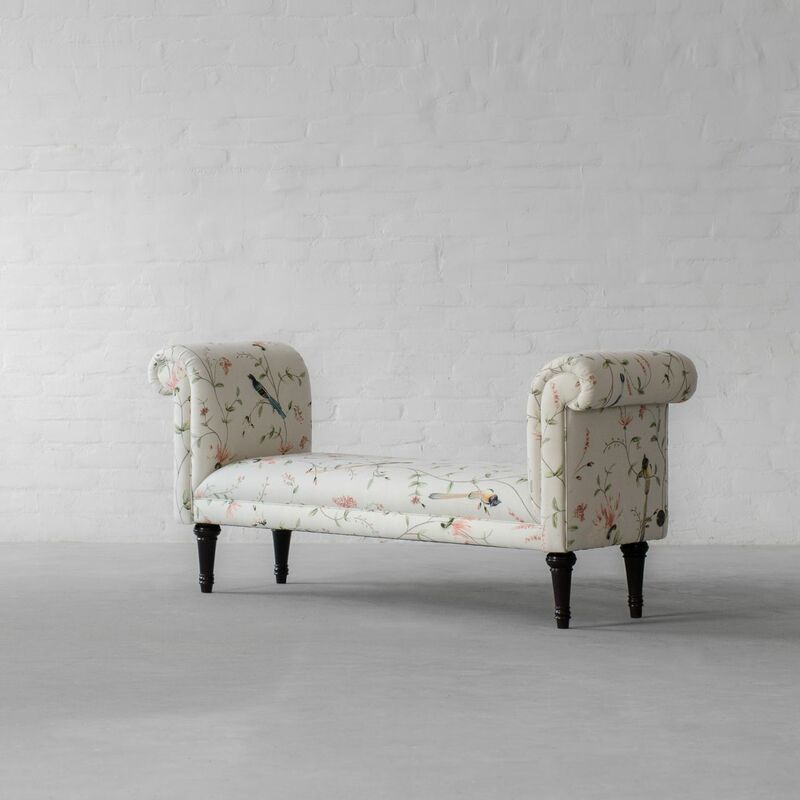 Featuring a fixed seat upholstered in our signature fabric, this time preserved design is sure to make you stop in your tracks charmed by its beauty! So let's go back in time with this latest launch.